How much does it cost to travel to Aix-en-Provence? 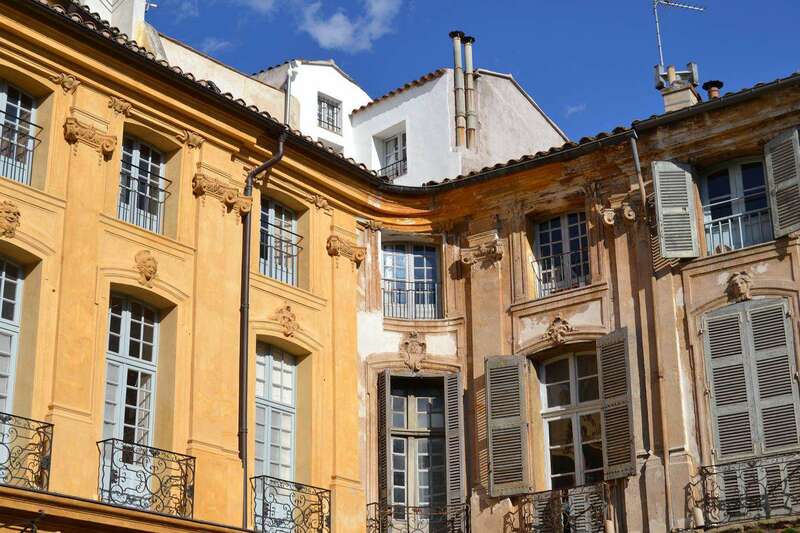 How much money will you need in Aix-en-Provence? €111 ($125) is the average daily price for traveling in Aix-en-Provence. The average price of food for one day is €26 ($30). The average price of a hotel for a couple is €129 ($147). Additional pricing is in the table below. These average travel prices have been collected from other travelers to help you plan your own travel budget. How much money do I need for Aix-en-Provence? Aix-en-Provence is a city in the south of France about 20 miles north of Marseille. It was the birthplace of Post-Impressionist painter Paul Cezanne. A walking trail links sites including his childhood home, Jas de Bouffan, and his former studio, Atelier Cezanne. The white limestone mountain Sainte-Victoire overlooking the city as well as the surrounding countryside were frequent subjects of his works. The city is all class with its flourishing boulevards and public squares are lined with 17th- and 18th-century mansions, punctuated by gurgling moss-covered fountains. Haughty stone lions guard its grandest avenue, cafe-laced cours Mirabeau, where fashionable Aixois relax on terraces sipping espresso. While Aix-en-Provence is a student hub, its upscale appeal make it more unique and charming to visit than some university towns. The Cours Mirabeau is a wide thoroughfare, planted with double rows of plane-trees, bordered by fine houses and decorated by fountains. It follows the line of the old city wall and divides the town into two sections. The new town extends to the south and west; the old town, with its narrow, irregular streets and its old mansions dating from the 16th, 17th and 18th centuries, lies to the north. Along this avenue, which is lined on one side with banks and on the other with cafes, is the Deux Garcons, the most famous brasserie in Aix-en-Provence. The Cathedral of the Holy Saviour is situated to the north in the medieval part of Aix-en-Provence. Built on the site of a former Roman forum and an adjacent basilica, it contains a mixture of all styles from the 5th to the 17th century, including a richly decorated portal in the Gothic style with doors elaborately carved in walnut. The interior contains 16th-century tapestries, a 15th-century triptych, depicting King Rene and his wife on the side panels, as well as a Merovingian baptistery, its Renaissance dome supported by original Roman columns. The archbishop's palace (Palais de l'Archeveche) and a Romanesque cloister connect to the cathedral on its south side. The Hotel de Ville, a building in the classical style of the middle of the 17th century, looks onto a picturesque square (place de l'Hotel de Ville). It contains some fine woodwork and tapestries. At its side rises a beautiful clock-tower erected in 1510. The Cours Mirabeau is one of Europe's great boulevards. The first thing you're likely to see when you arrive, it cuts a dash of Parisian Left Bank chic and sophistication under the sun of Aix-en-Provence. On the south side of the thoroughfare, the 17th and 18th century houses are occupied today by banks and businesses. On the north, sunny side, an array of bookshops and enticing pavement cafés are an invitation to linger, or to dive into the labyrinthine Old Town behind them. Aix-en-Provence's Old Town is perfectly poised to seduce the visitor with its winding streets, craft shops, boutiques, restaurants, elegant squares, refreshing fountains, markets - and all steeped in centuries, if not millennia, of history. You can get a free fold-out map from the Aix en Provence Tourist Office with brief notes on the most important buildings and sights, which include the place d'Alberta, Palais de Justice, the Church of the Maiden, and many others, plus the many colorful markets that line the streets daily. The Mazarin Quarter is Aix-en-Provence's answer to the Marais in Paris. Like it, this ultra-elegant residential district was built on marshland just outside what was then the city walls and swiftly became the most desirable address in town. Aix holds two significant musical events each year. The first is the Festival d'Aix-en-Provence, An important opera festival, the Festival international d'Art Lyrique, founded in 1948, now ranks with those in Bayreuth, Salzburg and Glyndebourne. The festival takes place in late June and July each year. The main venues in Aix-en-Provence itself are the outdoor Theatre de l'Archeveche in the former garden of the archbishop's palace, the recently restored 18th-century Theatre du Jeu de Paume, and the newly built Grand Theatre de Provence; operas are also staged in the outdoor Theatre du Grand Saint-Jean outside Aix-en-Provence. The second event is the Musique dans la Rue, which takes place each year in June to coincide with the national Fete de la Musique. There is a week of classical, jazz and popular concerts held in different street venues and courtyards in the city. Some of these events are held in the Conservatoire Darius Milhaud, named in honor of the French composer, a native of Aix. Like most destinations in France, Aix-en-Provence has a great culinary scene. There are many excellent restaurants and cafe's to choose from, but here are a few ideas to help get started: L'Espirit de la Violette, a Michelin-starred restaurant offering high-quality creative and contemporary fare; Le Poivre D'Ane, offering a classic French cuisine; and Le Contrepoint, which serves a blend of French and American cuisine. The airport in Lyon is the closest international airport, but Aix-en-Provence is also nearby the Marseille regional airport. The city is well connected to many other French cities by the TGV fast train and other rail systems. There is a regular bus from rail stations and the Marseille airport to get to the city. In the town itself, there is an inexpensive municipal bus service, including a dial-a-bus service, a park-and-ride service, and tiny electrified buses for those with mobility problems. Those are six seater vehicles that circulate at a speed of 10 mph. The central old town of Aix-en-Provence is for the most part pedestrianized. There is also a bike rental service with locations around the city, which is popular with tourists.